Finally made the inaugural cut into my new Flea Market Fancy. 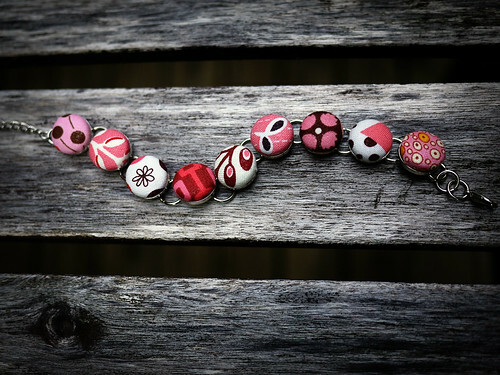 But not for a quilt — for a bracelet! Normally I’m not a huge fan of pink, but these prints were calling to me. Purists out there will probably notice there’s a few non-legacy patterns in there as well, from my old FMF stash. 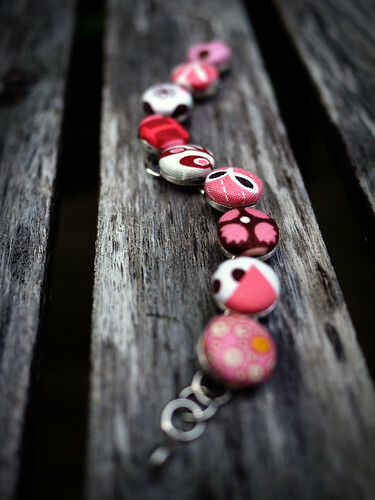 Here’s the tutorial that I used, from Destri on Mother Huddle. 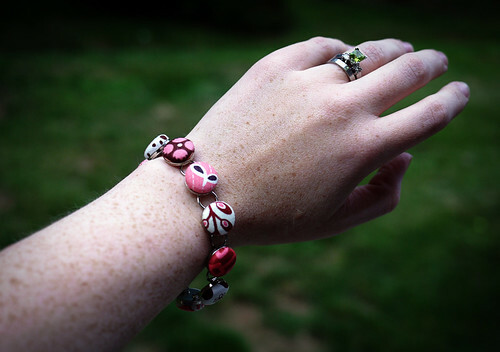 All you need is a covered button kit, hot glue, and a bracelet blank. I’m hoping to wear it next week, when Denyse Schmidt visits the Philadelphia Modern Quilt Guild. I can’t wait for our workshop next weekend! 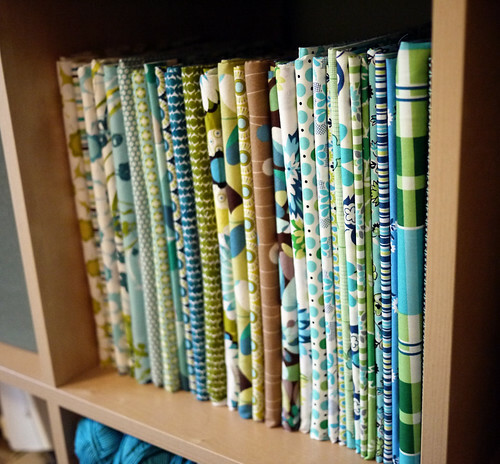 Recently, I spent some time organizing my stash of quilting fabrics by making "mini-bolts" using comic book boards. And a much better looking after! 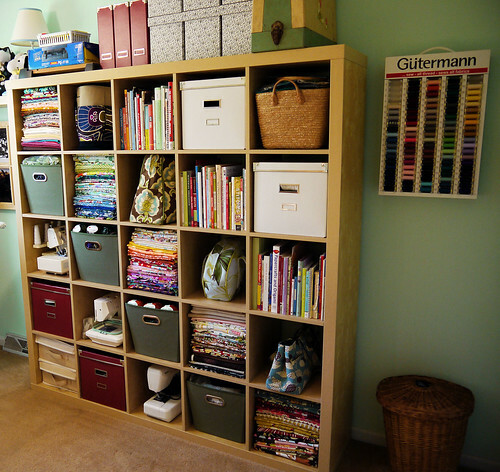 Now it’s easier for me to pull out one or two fabrics without making a mess of the whole pile. Smashed Peas and Carrots has a tutorial on how to fold the fabric to fit. It’s really easy, and the results are so neat and tidy looking. It works well for fabric at least 1/2 yard long, up to a few yards long. Here’s a link to the comic book boards that I used. 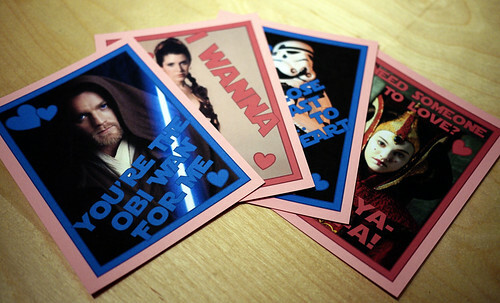 I’ve blown through two packages of 100 already! Yes, that’s extra of the gray posies. I’m thinking a blouse, maybe? While driving to a customer visit in Connecticut last week, I found myself in need of a rest stop somewhere in the heart of New Jersey. Through a stroke of good luck, right at that moment I spied a billboard for… wait for it… A Crate and Barrel OUTLET! Who knew such an amazing place existed? 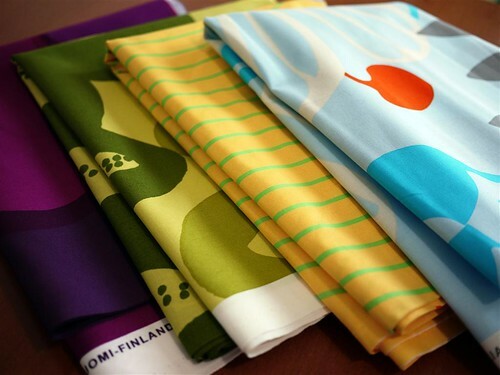 My first stop was the Marimekko fabric counter. It’s normally pricey stuff — $49.00/yd, to be exact — but at the outlet, these bright, bold prints can be had for a mere $3.95 per yard. Guess who walked out with eight yards worth? 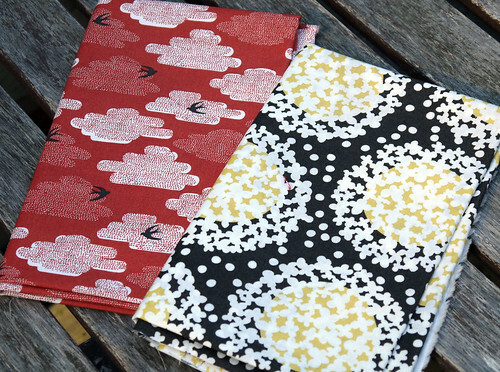 I don’t have specific plans for these yet, but at 54″ wide they would make great quilt backs. You’re not limited to fabric, though… A quick rustle through the shams and duvets revealed the gem below. 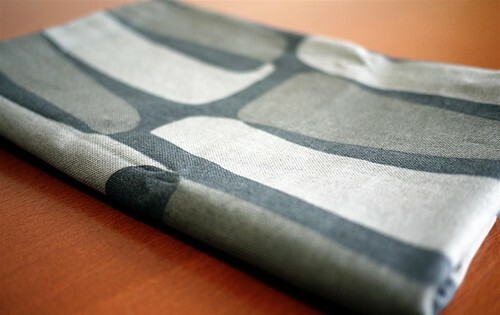 It’s just a single sham, so not a ton of fabric, but I’d love to use it as an accent pocket fabric for a purse. 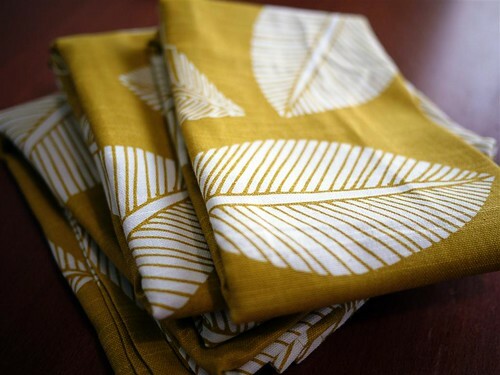 The purchase I’m most excited about is these great mustard tea towels. I’ve been mulling the idea of going all-out on a really stylish camera bag for my Lumix. See inspiration here and here. This leaf print sealed the deal. I’m already dreaming of some brown faux leather trim and metal hardware details… If I can pull this off, it’s going to be amazing! 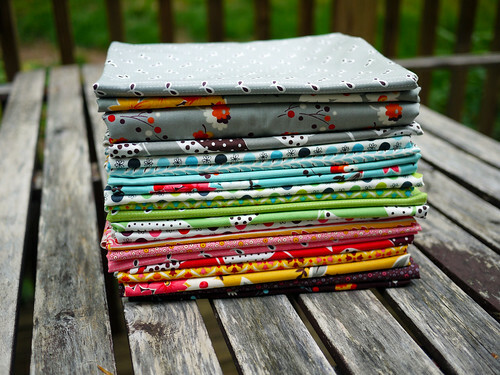 First, I’ve signed up for Don’t Call Me Betsy‘s Kaleidoscope Quilt Along. I’ve never done a quilt along before, and this looks like a great place to start. The plan is to start my kaleidoscope quilt in late June, once I’ve [hopefully] finished my Garden Under the Sea quilt top. [Or tops? More about that in another post.] 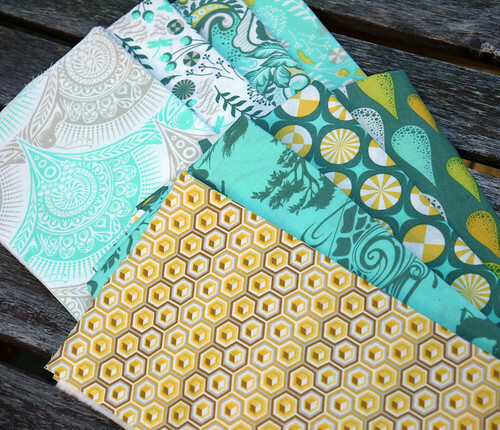 Anyway, still deciding what fabric to use for the kaleidoscope quilt, but I’m leaning towards some blue and green prints from the DS Quilts line at JoAnn Fabrics. Then, while taking advantage of the free intenet access in my hotel room, I came across a great blouse tutorial on Sew Mama Sew, aptly named the Pretty Blouse, by Amanda from The Modern Marigold. I was so excited about the tutorial that I surfed right on over to Fabric.com and bought myself some beautiful Tula Pink voile fabric to make a new summer blouse. Red normally isn’t one of my go-to colors, but I’m trying to branch out a bit. Way back when I began sewing, I started out with apparel, which I’ve abandoned as my undying love for quilting has developed. It will be fun to go back to my roots! I’m currently sitting at the airport, facing a weekend without my sewing machine, so I thought I’d reminisce about some amazing fabric that I’ve acquired recently to cheer myself up! “Hello, my name is Amanda, and I’m a Laurie Wisbrun addict…” I seriously love everything she does! 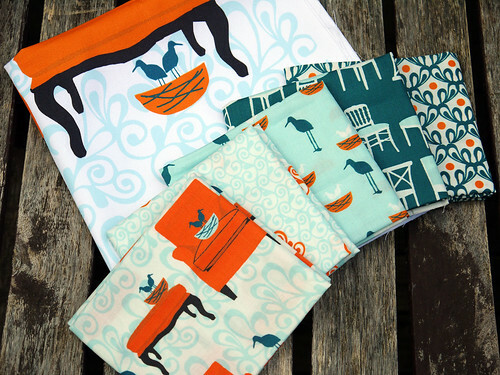 I have been lusting after the ‘Nesting Chairs’ collection for quite some time, so I treated myself to the blue & orange colorway, plus the twill pillow panel. 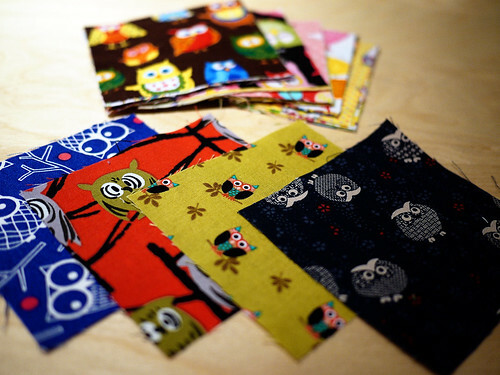 There is quite a selection of great girly fabric out there, but it can be hard (I think) to find fabric that suits little boys. 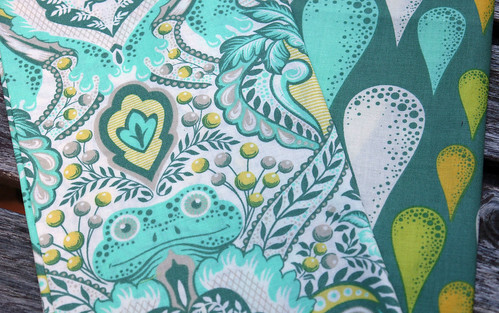 Tula Pink’s ‘Prince Charming’ is just prefect for a little guy! This is going to make a really fun baby quilt. 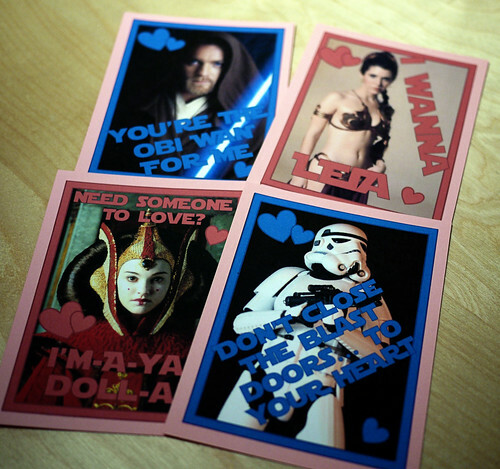 And a bonus shot… these are my favorite from this collection. Well, I’m off to San Antonio, TX for a conference over the next few days. 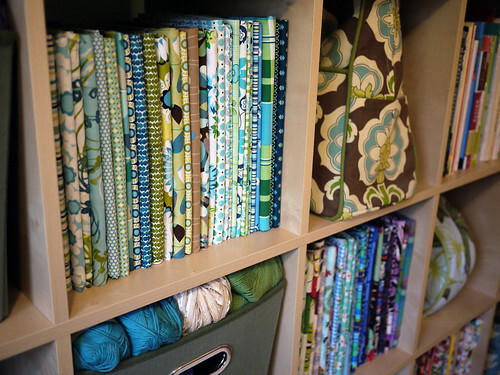 Are there any amazing fabric / quilting / yarn shops in the area that I should sneak away to visit? Do share!